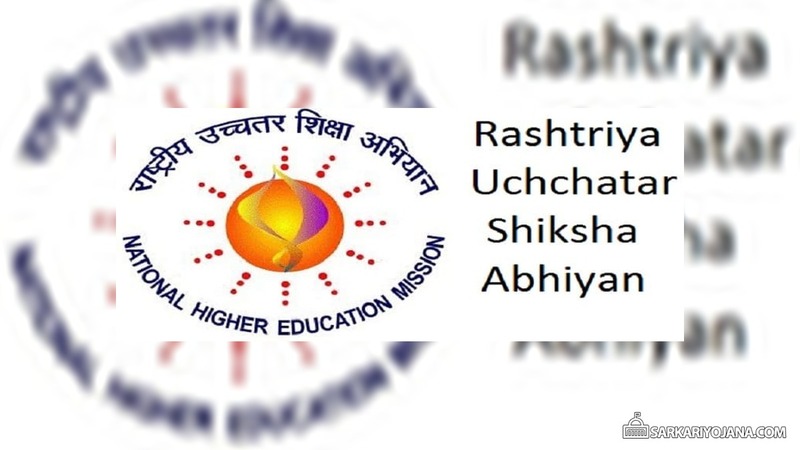 Cabinet Committee on Economic Affairs (CCEA) approves to continue Rashtriya Uchchatar Shiksha Abhiyan till 31 March 2020. RUSA is a centrally sponsored scheme of central government to provide strategic funding to eligible state higher educational institutions. Central RUSA Fund Allocation 2017-20 (ratio 60:40 for general states, 90:10 for special category states and 100% for UTs) will remain norm based and outcome dependent. RUSA aims to raise the standards of state institutions and also to adopt accreditation as compulsory quality assurance framework. Moreover to bring transformation in state higher education system through creation of institutional structure, promoting autonomy and providing good governance. RUSA will also lay emphasis on reforms in affiliation, academic & examination system along with availability of quality faculty (teachers) and capacity building programmes. Moreover in the Cabinet Meeting, central govt. has also approved the launch of Ayushman Bharat National Health Protection Mission. RUSA targets to raise Gross Enrollment Ratio (GER) of India to 30% by 2020. RUSA also seeks to enhance the state government spending on higher education. 2nd phase of this higher education scheme aims to create 70 new model degree colleges and 8 new professional colleges. In 10 selected universities and 70 autonomous colleges, govt. wishes to raise the quality and excellence levels. This would be done through providing infrastructural support to around 50 universities and 750 colleges. New RUSA Proposal will help to improve access, equity and accessibility of higher education. This would be done through academic reforms, governance reforms and affiliation reforms. Providing opportunities of higher education to socially deprived communities, promotion of women inclusion, minorities, SC / ST / OBC and Person with Disabilities (PWDs). RUSA will also identify gaps in the education system and fill up these gaps by providing support to State Government efforts. Furthermore, central govt. wants to promote healthy competition among states for excellence in quality education, research and innovation. RUSA Funding Ratio – Central govt. and State govt. will share the total project cost in public funded institutions in 60:40 ratio in general states, 90:10 for North Eastern States, Himachal Pradesh and Uttarakhand and 100:0 in UTs without Legislature. Funding will then flow from Central govt. through State govt. / UTs to State Higher Education Council (SHEC) before reaching identified public institutions. The basis of this funding is appraisal of State Higher Education Plans to address issues of equity, access and excellence in higher education. To provide better education facilities in all the government institutions, central govt. has decided to continue Rashtriya Uchchatar Shiksha Abhiyan for the next 3 years.